Yaba College of Technology, YABATECH 2017/18 Post-UTME ND & Degree Screening Form is Out for candidates that choose YabaTech in JAMB and the cut-off marks are 150 and 180 respectively. 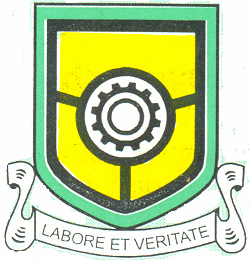 Applications are hereby invited from interested 2017 UTME candidates who applied for admission into Yaba College of Technology for, National Diploma (ND) Full Time and B.SC. in Technical Education programmes (100 level). The application which is on-line will commence on Monday, September 11, 2017. YabaTech Cut-off Marks for Admission: The admission screening is open to candidates who chose Yaba College of Technology as their 1st or 2nd Choice of Institution and scored cut-off marks of 150 and above for National Diploma (ND) Full Time and 180 for B. Sc. Degree (100 Level) in affiliation with University of Nigeria, Nsukka in the 2017/2018 Unified Tertiary Matriculation Examination (UTME). However, all candidates who have chosen Yabatech as 2ndChoice of Institution are required to change to First Choice on the Joint Admissions and Matriculation Board (JAMB) Portal to be eligible for admission. Applicants are to pay a fee of Two thousand Naira (N2,000.00) (excluding result verification fee) for the exercise using their ATM Card (Master Card, Visa, Verve) by clicking on PAY NOW. The application process can also be run on mobile devices (Smart Phones, IPAD, Tablets and other Internet enabled devices). The candidates are expected to upload their photograph in JPEG or PNG format and not more than 120 x 120 pixel. Candidates should visit the College website at www.yabatech.edu.ng. Click on POST UTME SCREENING 2017/2018 and complete the application process appropriately. Candidates are advised to supply correct data on the portal as they will be responsible for any error made during registration and any wrong information given on Joint Admissions and Matriculation Board (JAMB) and O Level details will disqualify the candidate. Candidates having difficulty in payment for registration should visit the College websiteclick on complaint link or chat on our online support portal for possible assistance. YabaTech Post-UTME screening application will commence from Monday, September 11, 2017 and close on Saturday, September 23, 2017.